The ever rising cost of fuel has always been a cause of concern for the car owners. Wherein the rising cost of the fuel might not be under control, the responsibility to run it on an optimum note is definitely within our control. As responsible citizens of the world, each of us who use a private vehicle has their individual responsibility towards the environment and therefore, ensuring maximum fuel economy is the need of the hour. Instead of changing your current car to the one with a better fuel economy, let us look into some of the aspects which can make the fuel in the car run more efficiently. Every time you press the accelerator, you consume fuel. The harder you press the accelerator, the more fuel is consumed. Therefore, it is important to drive carefully and ensure that you do not hard press the accelerator, especially when the traffic lights turn amber. Simply coast down the signal instead of pacing up and then braking which is not advisable for a sound fuel economy. Unnecessary slowing down and speeding up alternately consumes unnecessary fuel. If your car is equipped with a cruise control, you can maintain a constant speed at a long stretch of road instead of operating it manually. Using the cruise control will optimise your fuel by 6%. Drive steadily and avoid tailgating. Keeping too close to the bumper of the car ahead will cause to brake more often than required, leading to the draining of the fuel. Refrain from resting your left foot on the brake at all times increases its wear and tear and consequently, consumes more fuel and works negatively on your fuel economy. Automated transmissions consume more fuel than their Manual counterparts, therefore consider this aspect if you decide to buy a new car. If you let the vehicle idle for more than a minute, it consumes half to one gallon of fuel and gives off unnecessary amount of CO2 in the air. Whilst you are trying to park the car, refrain from taking multiple circles at the half empty parking lots to find the closest spot. Also when you start the car at the beginning of the day, ensure that you invest about 20 seconds to warm up the engine before you drive away. Driving the vehicle to warm the engine is better for your fuel economy than revving it. In fact, avoid revving your car altogether. Low tyre pressure uses more fuel as it creates more friction. This way, it affects the braking system of the vehicle and the tyres also wear out more quickly. Not many people are aware of what the recommended tyre pressure of their car should be. Keeping a tyre pressure gauge handy is extremely essential else you can have this checked at your nearest fuel station. This way you can work better on the aspect of fuel economy as well as increase the lives of the tyres. Also, invest in narrow tyres which reduce the aerodynamic pressure. Every kilogram of weight your car carries around costs you fuel. If the boot of your car contains stuff such as picnic stacks, umbrellas, heavy containers you do not require everyday, get rid of them to maximize fuel economy. The tachometer, next to the speedometer monitors the RPM of the vehicle. If the tachometer reads 3, it means that the vehicle is running at 3x1000 or above 3000 R.P.Ms. It is possible that you are pushing the accelerator way too frequently at a lower gear. Any R.P.M is between 2000 to 3000 is acceptable; however you should aim to maintain it below 2000 to achieve the best fuel economy. The engine of the vehicle should be kept at it’s best condition at all times to ensure fuel economy. The air filter of your vehicle should be regularly changed, especially if you frequently drive long roads and in dusty conditions. The alternator in your vehicle operates harder if the batteries are corroded therefore, ensure that they are cleaned whenever you take your car for an engine check up. The sweet speed of your vehicle can be defined as the minimum speed at which the car runs smoothly at the highest gear. Once you identify this, you can venture out behind the wheels and save fuel accordingly. 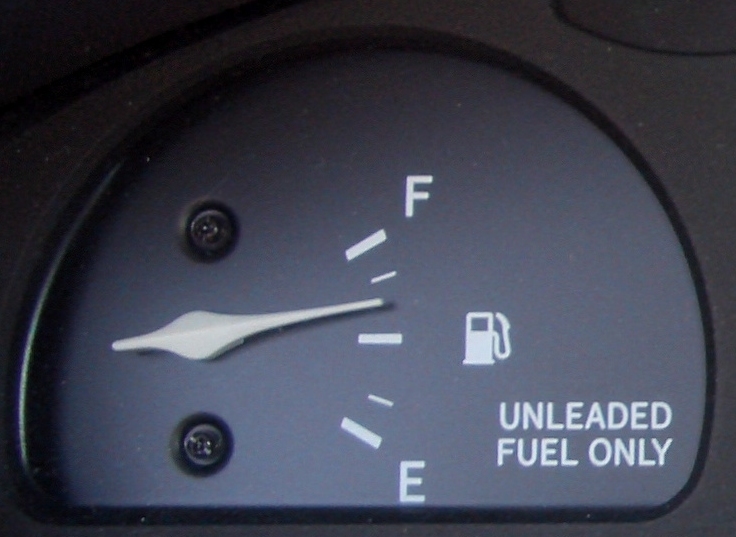 Uneven surfaces, stones and gravel make your vehicle less efficient in terms of fuel economy. As the wheels stagger down these roads, forward motion energy is ripped off the vehicle causing it to produce replacement energy through the consumption of fuel. Fuel which comes with discounts generally contains a higher percentage of ethanol as a result it burns faster. Good quality fuel on the other hand will cost you more, however, will take considerably lesser time to be consumed and render better fuel economy. Make a list and chalk out the list of errands you need to run each week and ensure that you align them in such a way that you are able to cover all of errands in a single trip. Taking several short trips when the engine is cold might consume more than twice as much fuel. Chalk out the routes from beforehand and avoid multiple unnecessary stopping. Maintain a spreadsheet of how many miles you travel versus the amount of fuel you buy. By studying the spreadsheet carefully, you will understand whether you are running at an optimum fuel or wasting it. This is an excellent practice you can adopt to earn better fuel economy. Mileage is one of the foremost important aspects one looks into before purchasing a car. Ensure that you are thoroughly making your researches before you consider buying a new vehicle. Testimonials and amazing saving offers should be avoided altogether as more than often these wonder widgets which had been discarded since the 1980s have returned to entice the new generation. An aware driver is a smart driver and keeping a close eye on the functioning of your vehicle would contribute much in making optimum use.